Eurocopter Helicopters are dependable, efficient, quiet, powerful, comfortable and safe. Eurocopter is the world’s leading supplier of civil and utility helicopters. Established in 1992, the Franco-German-Spanish Eurocopter Group is a Division of EADS, a world leader in aerospace, defence and related services. Eurocopter offers the largest civil helicopter range in the world. Very roomy and comfortable, the EC 120 B is able to transport 1 pilot and 3/4 passengers over 710 km (383 NM). The large luggage compartment carries 5 big suitcases. 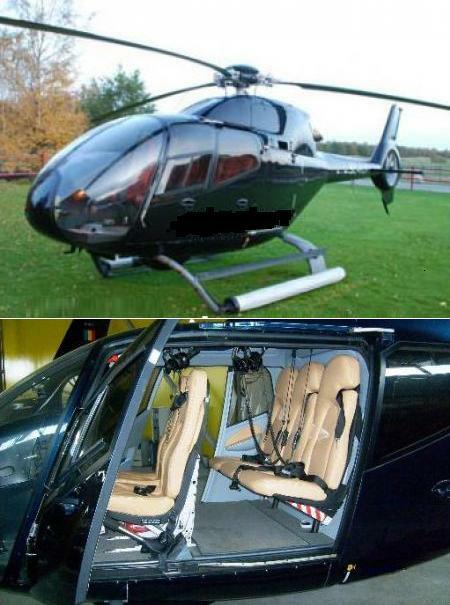 The light single-engine helicopter has a surprisingly large cabin up to 3 cu. m/ 104 cu. ft (luggage compartment included). Cargo fits easily on the flat floor. Rent now! or Buy a Helicopter! In the standard configuration the helicopter EC155 B1 can carry 8 passengers with one or two pilots. 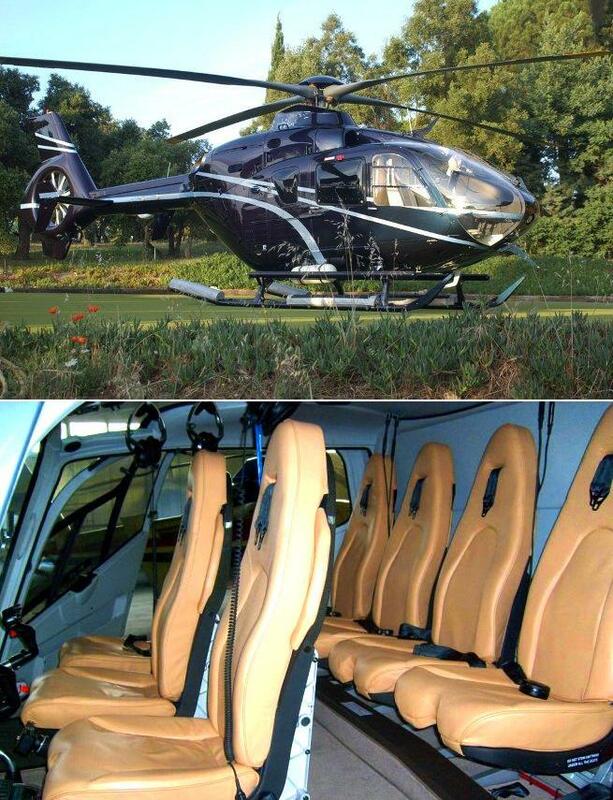 In the corporate or VIP version the EC155 B1 carries as many as 6 executives in a comfortable working environment, designed to reflect the helicopter's passenger's unique sense of style and taste. Low noise Fenestron tail rotor type with 10 composite material blades. "Phase modulation" by unequal blade spacing makes fenestron sound "pleasant". For optimum passenger comfort and pleasure, the Dauphin offers large windows providing exceptional visibility for 8 to 10 passengers. The significantly improvement in the "Dauphin" AS365 N3 performance is mainly due to the adoption of the lastest TURBOMECA Arriel 2C turbine engine. This increase in power can be used in warm weather or at high altitude to increase the helicopter's Take-Off weight significantly. "Fenestron" faired-in tail rotor offer safety when manoeuvring at low altitude or landing, not to mention that of passengers. This hardworking aircraft is specially known for its passenger transport activity such as business and tourist flights. Its roomy and comfortable cabin can accommodate up to 5 passengers. The AS350 B3 is "the high performance" version of the single engine Ecureuil range. With an under-slung load capacity of 1,400kg (3,086lb) and a high rate-of-climb, this helicopter is the ideal tool to transport heavy loads and to carry out logging operations in the mountains. 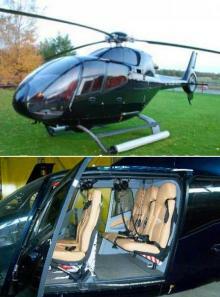 The AS350 B3, with its high cruise speed (140kts) is also an excellent business helicopter, fast and comfortable.